Please see below the list of web resources for finding freelancers, developers, graphical artists, small outsourcing vendors and more sorted by Alexa US rating. This list was compiled in mid October 2011. You can also see the same list sorted by Site Name or Alexa Global. If you know of a site, directory or service with is worth including please comment on the page and I include it in the list, feel free also email me at krym2000-po @ yahoo . com as well. I will update the list in ~ 12 months from now. www.craigslist.org 7 35 10 Craigslist is probably the world’s most popular classified ad site. Jobs and Gigs sections provide access to vast community of local talent with Gigs primarily focused on freelancers. Conveniently Gigs are free to post. effectively. Founded in 1999, Elance was established to help small businesses easily and efficiently hire freelance talent. Today, it’s claiming to be the leading workplace for hiring and working on demand. brokerage fees were 10% of the contract. and international employers can connect. on programming. It’s motto is connecting businesses with programmers and it claims to have thousands of professionals and over 200 projects daily. graphic design. As of June ’10 it connects 70,406 passionate designers from around the globe with small businesses who need design projects completed. employers hire and manage virtual workers to assist them in business and personal projects including computer programming, writing, graphic design, marketing and many more. Netsym communication inc. It was established in 2002 to facilitate the negotiation of professional services between “Solo Agents” and “Buyers” (businesses or individuals who need their services). Amazon Web Services, a crowdsourcing marketplace that enables computer programs to co-ordinate the use of human intelligence to perform tasks which computers are unable to do. from nearly every country on earth. Coroflot users are industrial, graphic, fashion, interior, textile and interaction designers; 3D modeling and rendering specialists; architects, illustrators, art directors, design managers, and dozens of other disciplines. Coroflot’s job board claims to be the largest and most active site on the internet specifically targeted at hiring designers and other creative professionals. great access to the resources through its Job Board. such as Web Design, Graphic Design, CGI, PHP, Perl, Java, XML, ASP, SQL, MYSQL Script Programming Script Installation, Custom Website Design, Templates, Software Development and CGI/PHP Script Development. for freelancers in marketing, photography, designing, journalism copywriting and other creative professions. It’s also an avenue for freelance job vacancies on the market. projects open to UK freelancers and clients from across the globe. It has been helping freelancers find work and clients find freelancers since 1999 and it maintains an open database of UK and global Internet freelancers. that translators, translation companies, and others in the language industry can use to: network, expand their businesses, improve their work and experience added enjoyment in their professional endeavors. part-time contract and consulting opportunities. Employers are searching Sologig for experienced professionals across various industries including IT, Healthcare, Engineering, Accounting, Sales & Marketing, etc. Marketplace doing business in more than 200 countries. GetACoder strives to make outsourcing to any part of the world an easy task. Using GetACoder supposedly offers saving as much as 60% over traditional outsourcing, I doubt that it includes other companies in this list. freelancers to find everything that they could need all in one place – online freelance ezine, job site, and portfolio provider all in one. www.people4business.com 4 250,248 9,878 People4: a low-cost, on-line, completely price-transparent, UK-based, Employment Business specializing in freelance, contractor, consultancy and interim recruitment. freelance writing, and medical transcription jobs). designers, Krop became a Job Board and career resource website for creative professionals helping each other find great jobs. for small business owners worldwide to launch their Internet business or Internet presence for their offline business. way for businesses to connect with talented freelance professionals from around the world. True or not it offers a large variety of talent – from artists and photographers to programmers and writers. iFreelance.com also claims that by outsourcing through them businesses typically get projects done in half the time at half the cost. designers and developers – Freelance Web Design Jobs – Design Crowd – a job forum run by freelancers for freelancers. www.SoftwareProjects.com 4 30,083 14,650 It’s a great alternative to chasing offshore freelancers. These guys are us based. Their best feature is – you get a quote within hours and there are no bidding games. They’re more expensive than RAC and Elance. www.translatorscafe.com 6 16,217 14,800 TranslatorsCafé is a free database of over 1300 translation agencies and freelance translators. America, India, Eastern Europe (Russia, Ukraine, Romania) and other parts of the world registered on their site to provide competitive services. freelance writing jobs.They’ve been delivering daily and real-time freelance writing jobs for freelance writers since 1997.
of its kind. It indeed earned a decent reputation in freelancing community. You can find a large number of freelance programmers, web designers, copywriters and translators at that site. sites serving a large and growing community of business users. means of identifying qualified professionals for project based needs or long-term activities anywhere in the world, anytime. professionals with companies that need jobs done. From graphic design and web development, to programming, copywriting, article writing and much more, thousands of projects have been completed through our system. consolidated into one searchable database updated hourly. Lawrence Vaughan in Las Vegas, NV. It currently focuses on finding US and international employees/jobs making it simple, efficient and free. (graphic designers, php programmers, etc.) with webmasters that need custom website design or custom programming done for their websites. or http://www.sourceexperts.com 4 398,967 82,653 A large Directory of Global Outsourcing Service Providers. programmers, and software developers to develop their projects. that each member of the contract receives exactly what was agreed upon. professionals in the Video Game, Animation, TV & Film, and 3D Technology & Software Tools industries whether they be Employers searching for Jobseekers or Jobseekers looking to secure the “right” job. for blog writers or staff for other blog-related positions. logo, website and graphic design projects. Its global service marketplace allows businesses and individuals to hire, manage, and pay remote freelancers or teams located in 140+ countries. than 500 professional freelancers registered) and contract professionals with qualified employers. bringing together companies and professionals who take interests in latest web technologies, web standards and web design trends. websites and web applications that look and work great. Now content writers and entrepreneurs can also join up to find people to work with. creative professionals with a vehicle to find the freshest illustrators, photographers and designers in the commercial art industry. connecting small businesses and enterprises with a talented pool of designers and developers. enhance the interaction between companies looking for contract services and those who provide them. www.writerlance.com 3 729,958 459,987 Freelancing market place focusing on writers. 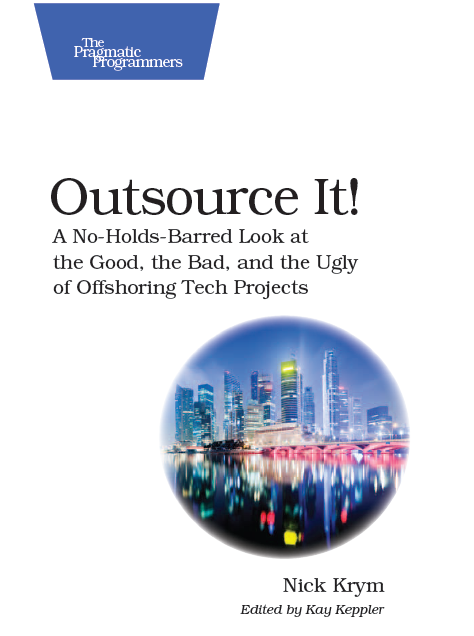 and businesses that outsource projects. Whether you are a freelancer or a business with project outsourcing needs, you can search and post for free. and review hundreds of proposals from the experienced freelancers / freelancing companies working remotely around the globe. Solutions and Consultancy for Telecom Providers and private Corporations. Providers and Freelancers, because of this you can save anywhere from 5-15% or more by using ProjectLance to connect you to qualified professionals. projects, contract and full-time jobs. Man Writers Center has been a primary source of research information and freelance job leads for working professional and talented beginning writers. marketplace for software buyers and developers large enough to be of value to both parties but small enough to provide individual attention to every single member during the project bidding process. freelance project posts. It has been launched last December 2009 with forum members of 633 which looks like they’re still striving building their reputation, so the jury is still out. outsourced projects to a pool of quality mac developers in a reverse auction style environment. connecting professional freelancers to webmasters providing both freelancers and webmasters the opportunity to expand their business and reduce their costs. programmers can find an abundance of projects throughout the world to bid on. These are typically projects that Evoltron as a company would have received. Due to the high demand, we charged our programming staff with creating a community driven website to help fill the gap between projects and our ability them. Although we will not cannibalize the projects that are posted here, please note that Evoltron as a company will also from time to time bid on projects posted here. As such you are encouraged to be active on the site. www.Freelancers2work.com 1 4,090,625 No Regional Data Companies of any size can use our web services. connect with freelance fashion designers to get work done. It is a privately owned company based in London and was launched in 2008 by teams who all have over 10 years experience in the fashion industry. content writers, programmers & webmasters, so the jury is still out on this site. wordpress, blogging, writing, design, programming, internet marketing, small business and entrepreneurship – looks like the site is new and haven’t built its reputation yet, so the jury is still out. entrepreneurs, marketers and event posters. Providing services such as email marketing, residual income, referral network, event services, free advertising, directory service, profile page and more. for freelancers by aggregating listings from variety of job related feeds and sites, as well as CSS tutorials. auctions, job postings, and freelance ads for project owners and freelancers. www.eufreelance.com 4 7,682,810 No Regional Data EUFreelance.com is owned by Ignition Networks Pty. countries and regions from around the world. use interface for large design studios to outsource their projects to designers from all over the globe. website programmer, web designer, logo designer and freelancer – the jury is still out. closely align with their defined project needs. freelancers, tradesman and other local services at no cost. eNewsletters, eMagazines, eTextBooks, eManuals and other projects – looks like the site is new and still building its reputation, so the jury is still out on its popularity. employers and freelancers identify each other and work together online to complete, invoice, and pay for Jobs. can search Resumes and find talent to do their projects or to fill full or part-time positions. Employers / Buyers post the job as a project. independent rating of IT providers. It includes a large number of providers in categories such as remote DBA services, IT services, outsourcing, etc. find web designers, programmers, article writers, marketers, graphic designers, Python gurus, or even help with setting up your web server. the rest of the site iss very good.